At its basic level, you create a watchlist of all the stocks you wish to follow. When considering a trade, you enter the number of contracts you are thinking of buying or selling and you will immediately be taken to a graphical representation of the possible outcomes (risks and rewards) of the trade. This graphical representation includes the ability to drag a 'wand' over the graph which reveals all the greeks and theoretical profit or loss at various underlying price points. It also includes a "probability of profit" feature at various days to option expiration date, which is pretty cool. The OptionVue watchlist links to its related option chains and other related information, called "The Matrix". This matrix can be customised to include or exclude columns of information, such as which expiration months you want displayed, "open interest", "notes", "percent change", "delta" or other items that interest you. You can also organize your matrix into groups, such as indexes, Dow30 stocks, trades, etc. You can also set alerts for selected stocks - for example, if the price of XYZ goes above $25 you have a choice of how you wish to be alerted. These alerts, when triggered, can be included as a column in your matrix. The stock and options data that OptionVue uses, is retrieved through a choice of data suppliers, including e-signal, QuoteVue and BullSignal. These are all subscription services. It also has a "backtrader" facility, having saved daily options data right back to January 2001. You can reset your system to some date in the past, so that it thinks it is back at that date. It will now display historical data in the matrix and you can 'pretend' to set up trades and see their outcomes. It is a great way to paper trade. One of the nice features of the OptionVue matrix is, that once you bring up your option chain, you can select the one you're interested in, change the projected price of the underlying stock and the program, using all the option greeks, will automatically predict what the new theoretical value of the option will be. This is a great tool if part of your money management system involves a certain percentage profit on your option trades. You know what the underlying price has to be to achieve it. OptionVue software also includes a portfolio manager which allows for multiple broker accounts. After inputting account details and other details such as interest rates, broker fees and transactions, it will give you an ongoing net position report. You can enter your trades with your broker direct from the program and it will create a transaction log. However, any decent broker should be able to provide the same information. But the layout of the report is flexible in that you can add and remove columns to craft the report according to your needs. You can also associate certain trades together that form part of the same campaign (e.g. averaging down options on a stock, ratio spreads, condors). And it will give you a very convenient end of year tax report, with trades classified into income vs capital gains according to how long you have kept them. OptionVue also has a "hedge finder" that enables you to offset your existing stock positions with appropriate index options. It does all the calculations for you and provides a graphical representation of your new proposed risk profile. Trade Finder is another impressive feature of this program. Using your existing watchlist in combination with your own technical analysis, you can ask the program to provide you with various option strategy choices to maximise your profits according to where you expect the price of the underlying to be within a given time frame. You can even use it to include existing options positions in the final recommendation. Say you have a group of stocks in your watchlist. You can go to each in the group, choose your expected target price, then run the trade finder according to a particular strategy ... let's say credit spreads. It will then search all options and give you the buy and sell positions for each stock that will allow you the best return on risk. These could be at-the-money, out-of-the-money or even in-the-money options, depending on the numbers. You click on the one you want to analyse and it will bring up a risk graph for the trade. OptionVue also includes the usual price and volatility charts that come with programs at this price range. 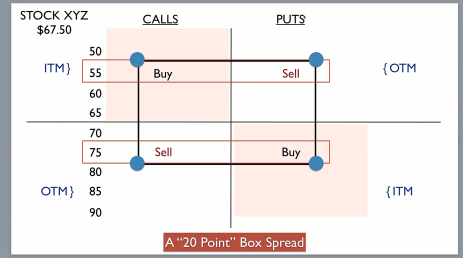 One can over overlaid against the other to reveal buying or selling opportunities. Once nice feature is, that once you have chosen an option strategy - let's say a bull put spread - you can then add it to a normal stock chart to show you the profit and loss zones for the trade. The final feature of note is the OpScan. This can be used to scan the entire database of either stocks or options according to detailed parameters you set, so that you can identify trading opportunities. An example might be price breakouts after a period of consolidation. 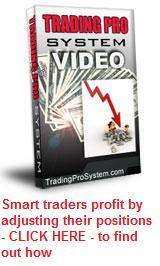 The combination of the above pitches this software program for the more serious professionally minded trader. At the date of writing, the standard edition currently sells for $996 while the professional edition goes at $1295. This does not include data subscriptions or the backtrader module. But the OptionVue STAR data subscription costs $399 per annum, which is just over $30 per month.